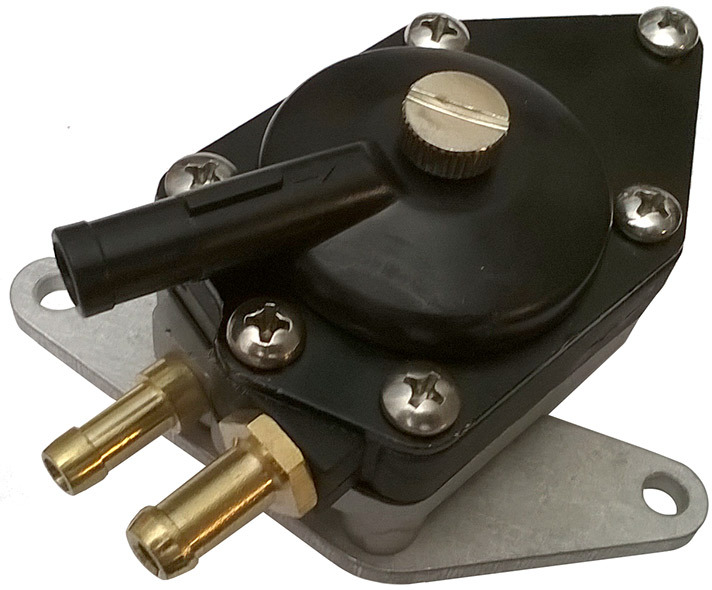 Wondering "Where-n-Ell" to get great parts for your outboard? you'll get it next month. JUST REPLACE IT WITH A NON-OILING PUMP FROM MASTERTECH! All Pumps On This Page Require Pre-mixing 50:1 fuel/oil in fuel tank! 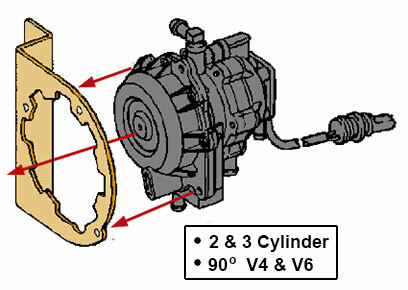 60° V4 & V6 motors were introduced in the mid-90's. 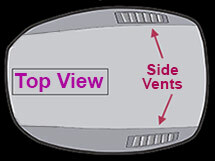 All 60° motors were loop-charged models with the vapor tank system. The top-view motor covers were roughly rectangular in shape and had vents along the rear sides. 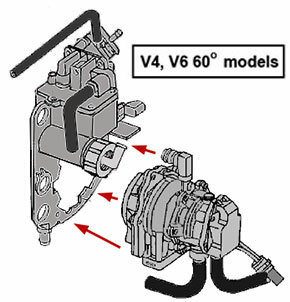 Pumps # 06-150 (V6) & 04-90 (V4) below must be used for these. 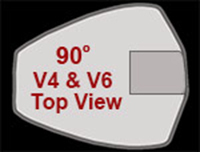 The 90° V4 & V6 motors had a fairly distinct triangular top-view profile. The V4 & V6 Crossflow motors had this design, as did larger V6 90° Looper motors 200 - 300 HP. 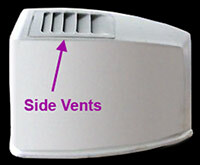 Except for a few of the XP perfromance models, these covers usually had no side vents. (Many V4 Crossflow motors mount to front air box instead). Several designs were used for brackets but the general mounting scheme is the same. direct replacement for ALL. It mounts to the VRO bracket with the attached spacer. 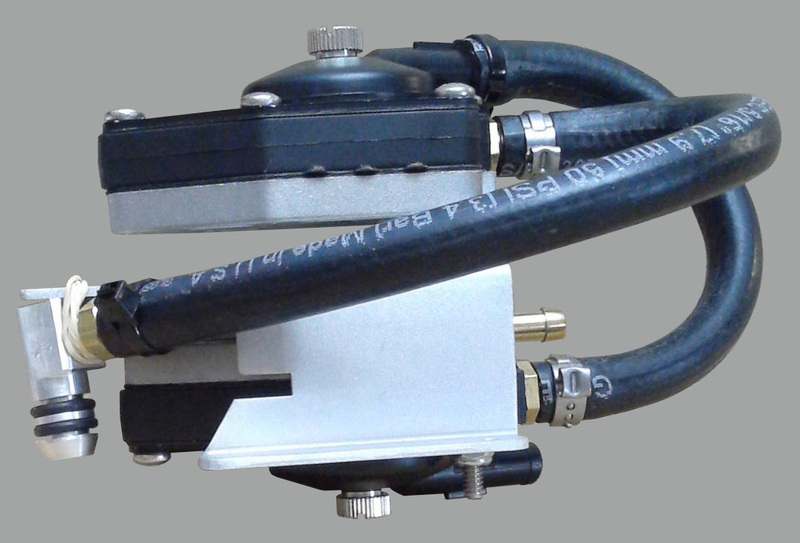 This is a 3-hose pump which uses the existing VRO pulse hose to operate. 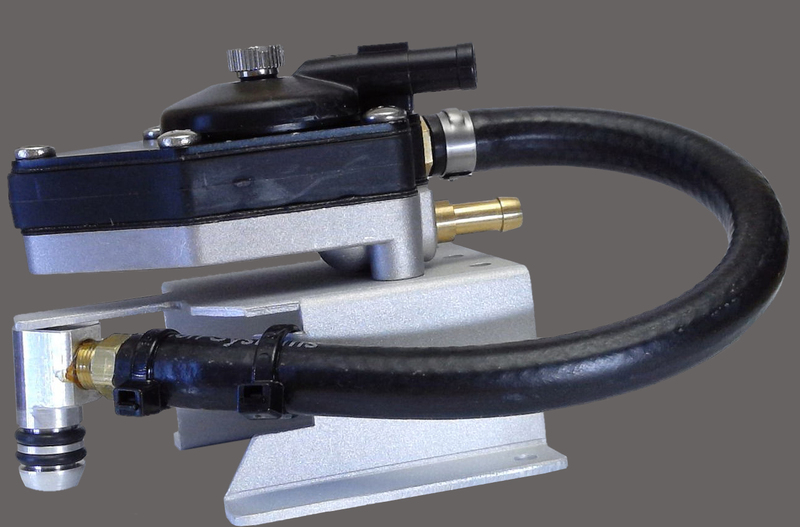 We include a length of hose and ties for use if the original fuel hose is too short. 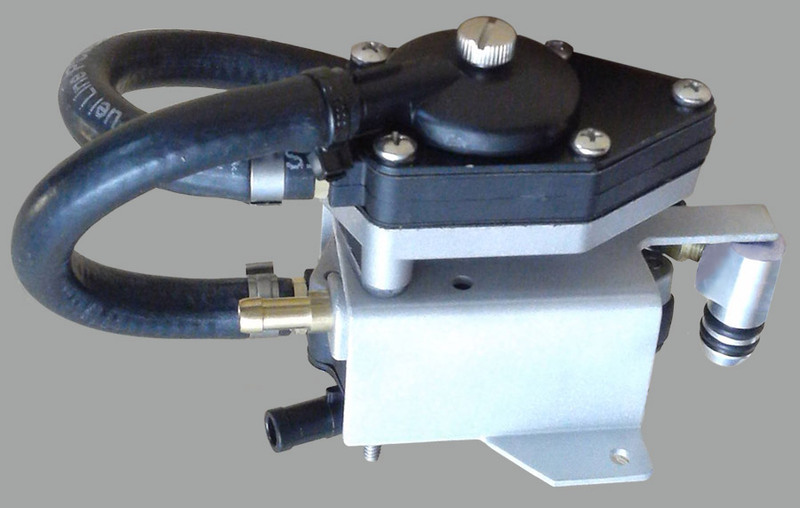 This pump can be used for V4 CROSSFLOW motors, mounting directly in place of the VRO pump behind the air silencer. 3-CYLINDER motors, direct replacement for ALL. Mount it to somewhere it can be secured to (VRO bracket etc with zip ties). 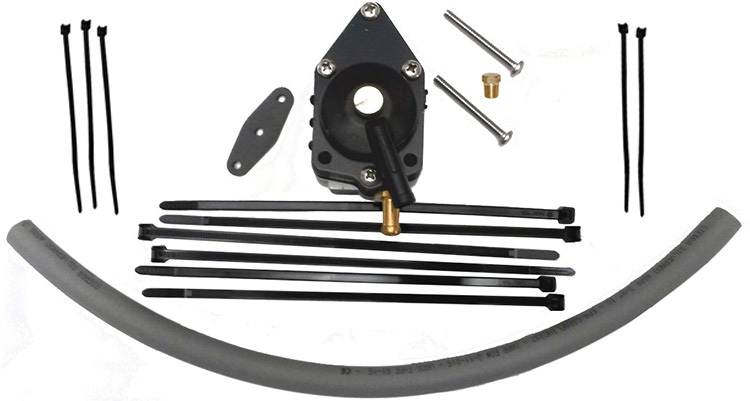 Depending on where you mount it, you may need a longer piece of fuel line (included with kit above). 60° V4 motors, with fitting for the vapor tank. 60° V6 motors, with vapor tank fitting. 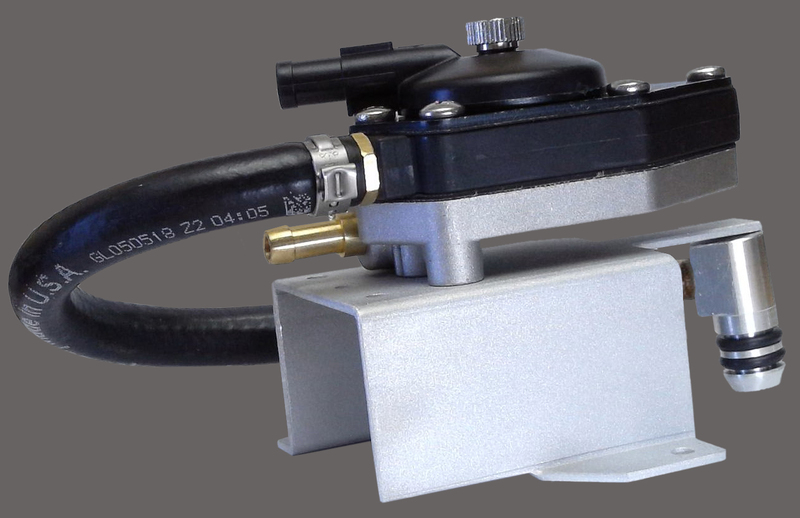 Integrated bracket mounts this pump so that the fitting mates to the vapor tank the same way as the VRO pump. 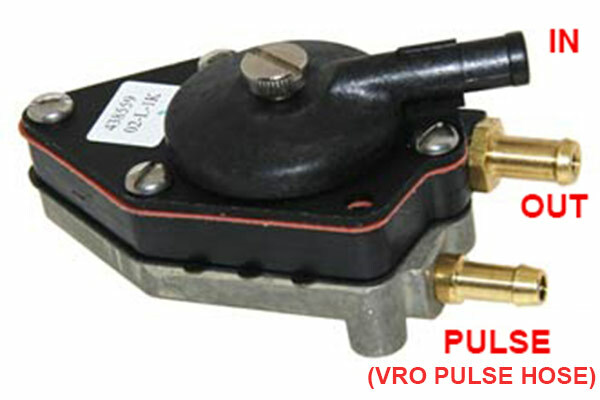 Other pumps DO NOT provide sufficient fuel volume to run these motors much over mid-range RPM. 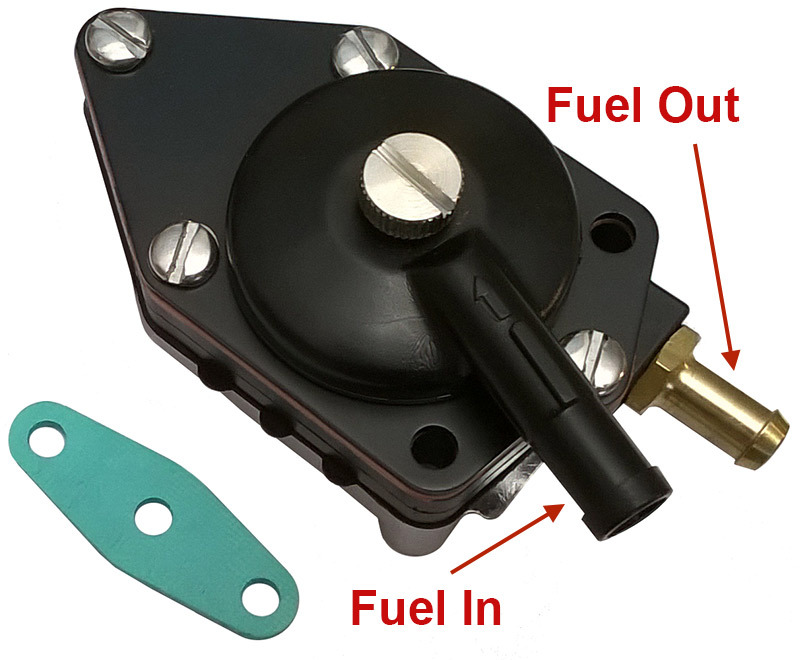 You must use a dual-diaphragm fuel pump such as this for full performance. 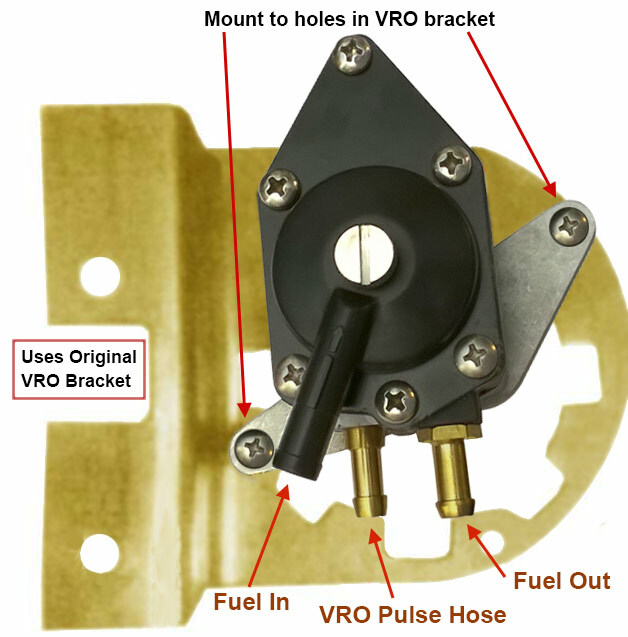 This pump re-creates the "2 pumps run in series" design used pre-VRO on V6 motors, and insures the fuel volume needed by 60° V4 models and all V6 motors.